Maddie Di Muccio was a former Municipal Councillor in Newmarket, Ontario and former columnist for the Toronto Sun. She’s appeared on several political reform panels including Women in Politics with the Manning Centre and has organized charity events back at home where she lives in Newmarket, Ontario. 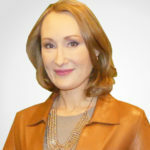 Currently a syndicated columnist with Troy Media, she writes mainly about education in Canada and is a regular on talk radio and television discussing political issues of the day and advocating for transparent government. Ms. Di Muccio is the parent of three school-age boys. Mrs. Gucma-Deras gave up her full-time career in public relations to raise her two school-age daughters. After noticing her older daughter’s success at her Montessori school, followed by a steep regression in public schools, Mrs. Gucma-Deras home-schooled her daughters for a time – with excellent results. When personal circumstances made it necessary for this family to give up home-schooling, her daughters were placed in a private school. Mrs. Gucma-Deras is involved with community theatre, and recently began teaching dramatic arts at her daughters’ school. She is an avid reader and, if additional time became available, Mrs. Gucma-Deras would spend it taking long walks, going to the opera, ballet, and theatre, and taking part in ballroom dancing. Tasha is public policy analyst, commentator, and author. She was the Ontario director of the Canadian Taxpayers Federation and worked with a number of prominent Canadian think-tanks. She has worked in several media outlets and currently hosts her own daily radio talk show on AM640. In addition she appears as a weekly political commentator on CTV News Channel, as well as in French on Ici Radio-Canada Télé; and is a columnist for the online iPolitics. Tasha has a law degree from McGill University. Marni Soupcoff is the former Executive Director of the Canadian Constitution Foundation, a registered charity that defends the constitutional rights and freedoms of Canadians in the courts of law and public opinion. 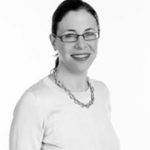 Marni is a fourth generation Torontonian, but spent nine years in the United States, where she graduated Phi Beta Kappa from the Johns Hopkins University in 1997 and received her law degree from Stanford University in 2000. 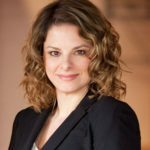 Before moving back to Toronto, Marni worked as a lawyer with the Institute for Justice, where she litigated economic liberty and property rights cases. She then went on to spend over a decade as a national newspaper columnist and editor for the National Post and managing editor for blogs at the Huffington Post Canada. 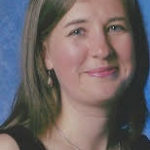 Her writing currently appears in the National Post and Regulation magazine. She is also a frequent commentator on national news broadcasts for CTV News Channel and the CBC. Michael Taube is a public affairs analyst and political commentator, and a former speech writer for Prime Minister Stephen Harper. 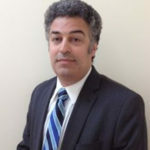 He’s currently a Troy Media syndicated columnist, Canadian Jewish News columnist, Washington Times contributor, and a political pundit on TV (TVO’s The Agenda) and radio (Newstalk 1010, Sirius XM). He’s also been an editorial writer/columnist for the Windsor Star, a columnist for various publications (Books in Canada, Calgary Herald, Hamilton Spectator, Moncton Times & Transcript, Ottawa Citizen, Sun Media/Postmedia, Toronto Star, and Toronto Sun), and a political pundit for CTV News Channel. 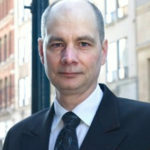 Michael holds an Honours BA in political studies from the University of Guelph (1993), and a MSc in comparative politics from the London School of Economics (1995). He lives with his wife and son in Toronto, Ontario. John Bachmann, Past member of the SQE board.